Qatar’s stock market rose in early trade on Sunday, buoyed by banking shares, while other regional markets were mixed. Qatar’s main index was up 0.5 percent to 10,326 points in the first hour of trading with Qatar Islamic Bank, Qatar National Bank (QNB), and Masraf Al Rayan rising. Qatar Islamic Bank was up 2.4 percent, while QNB and Masraf Al Rayan were each up 0.5 percent. Petrochemicals, metals and fertiliser producer Industries Qatar was up 0.7 percent. In Saudi Arabia, the main index was down 0.1 percent with Saudi Kayan falling 1.0 percent and Al Rajhi Bank down 0.1 percent. Middle East funds have become more wary, though not outright bearish, toward Saudi Arabia’s stock market because of concern over the fallout from the murder of Saudi journalist Jamal Khashoggi, a monthly Reuters poll showed on Wednesday. Foreign investors, including those from other Gulf states, were net sellers of Saudi equities for most of October, partly because of fear that Khashoggi’s killing could damage Saudi ties with the West and conceivably lead to economic sanctions. But the poll of 13 Middle Eastern fund managers suggested most funds do not intend to continue selling. Dubai’s main index was 0.1 percent lower with major developer Emaar Properties falling 0.8 percent and Dubai Islamic Bank 0.4 percent lower. DAMAC Properties, another major developer, was up by 1.0 percent and logistics company Aramex was trading 0.7 percent higher. Abu Dhabi’s main index was down 1.0 percent with telecommunication’s company Etisalat falling 0.7 percent and developer Aldar Properties down 1.7 percent. First Abu Dhabi Bank (FAB) was up 0.3 percent. 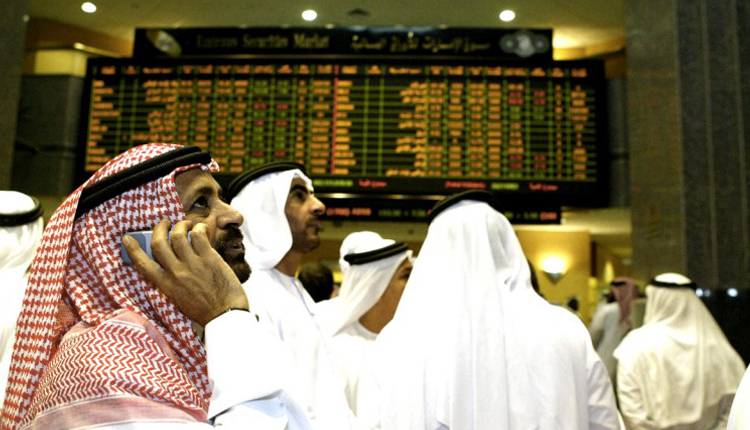 Bahrain’s main index was up 0.2 percent, Kuwait was 0.1 percent higher, and Oman’s main index was trading up 0.04 percent.